This week it was reported that a Houghton Regis stalker had made his ex-partner’s life a nightmare by bombarding her with calls and publishing fake pornographic images of her online. The offender was given a 12-month prison sentence suspended for two years, ordered to participate in a ‘Building Better Relationships’ programme, 30 days of rehabilitation requirement activity, a six-month curfew between 8pm and 5am, and 60 hours of unpaid work. Stalking is actually a crime in England and Wales under the Protection from Harassment Act 1997. Stalking is described as a pattern of unwanted and persistent behaviour that is motivated by a fixation or obsession that causes a victim to suffer alarm, distress or a fear of violence. The law states that it’s illegal for a person to pursue a course of conduct that they know or ought to know amounts to stalking. A course of conduct refers to two or more incidents of unwanted behaviour. The most important thing is to tell someone. Stalking thrives on secrecy - if people know they can help to keep you safe. You can contact the National Stalking Helpline on for advice about your options and safety planning. To report incidents to the police, call 101, but if you ever feel in danger, call 999 immediately. Keep a log of any incidents and any evidence you may have. A log can help you and support services see if your situation is escalating and better understand if there is a pattern of behaviour. Importantly, if you report to the police it allows them to see that these are not isolated incidents. Please remember that you do not need to have made a log, or have collected evidence to make a report to the police – it can help make the situation clearer to them, however, the police only need to have a reasonable belief that a crime has taken place to investigate. "About 40% of people who contact us have experienced some kind of cyberstalking. Not only the individual but also their friends and family - so all their social media is as secure as it possibly can be. They don't let people post pictures of them or check them into places, for example." If you are being followed, watched, or think your stalker may engage in those behaviours then we often we advise victims to look at ways that they can vary their routine to increase safety. For example, changing the route you take to and from work as well as leaving and arriving at different times. 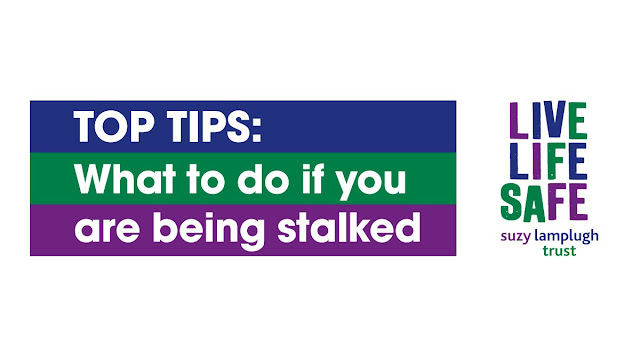 We often advise people experiencing stalking to implement a buddy system with a trusted friend or family member so someone else is always on alert should you not arrive somewhere when you are expected to. A buddy system involves letting someone know whenever you are going somewhere, who you are meeting (if appropriate), when they should expect you to check in, and what to do if you do not check in with them. If at any point, you feel unsafe we would advise that you call 999. We want the police to be on board in these situations and on board as early as possible. We know that the sooner there’s some form of formal intervention the sooner it’s likely to stop. We know that stalkers don’t generally stop on their own. Experiencing stalking is very distressing and we always recommend that people try to get some emotional support to cope with their situation. If you want to get some support then talking to your GP can be a good first step, or you can contact the Samaritans any time on 116 123 if you just need someone to talk to.